For many people their first contact with a church is through a baptism. At St Michael's we offer services of Baptism and Thanksgiving for the Gift of a Child. To make an enquiry please come to the church and speak to one of our clergy after the 10.00am Sunday service, when they will be delighted to help you. For Parish Register enquiries, see here. Baptism, sometimes called Christening, is a sign of God’s love. When we are baptised we are making a deliberate and public sign that we intend to follow Jesus Christ and be part of the Christian family, the Church. 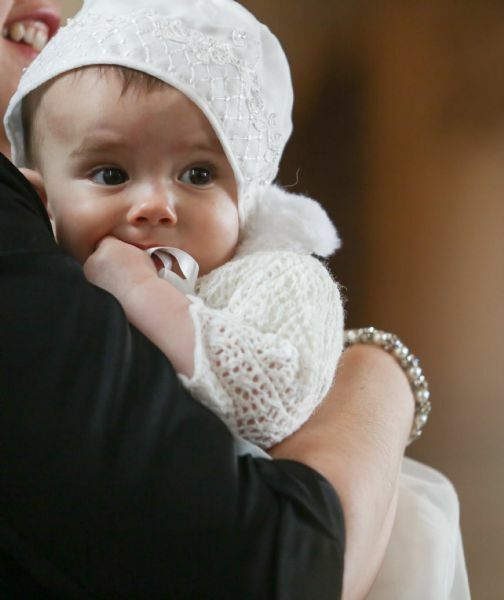 When Christian parents bring a baby or young child to be baptised, they and the Godparents make those promises on his or her behalf, in the hope that when that child grows up he or she will come to faith in Jesus Christ and then claim these promises as their own when they come to be Confirmed later in life. Adult Baptism is for those who were not baptised as infants but wish to declare their own faith in Jesus Christ and promise to follow him. To be baptised at St Michael's, you have to live in the parish or be a member of the church family and worship here regularly. Baptism services only take place after an informal preparation course of teaching on the meaning of baptism and the Christian faith for the parents, as it would be unfair to expect you to make promises without considering them carefully beforehand. If you don't usually go to church, we would also ask that you worship with us regularly before you or your child is baptised. 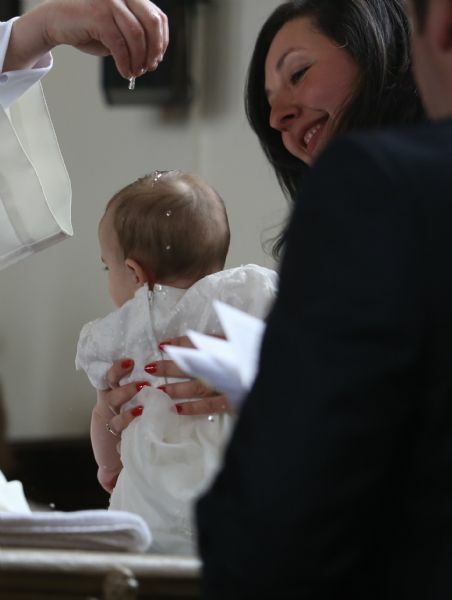 If you are seeking baptism for your child, then you are also asked to nominate Godparents, all of whom must themselves have been baptised. Thanksgiving is a public opportunity to say thankyou to God for your child. It is a beautiful service and suitable for those not yet wishing to make the promises of baptism, or for those wishing to give their child the choice to be baptised when they are old enough to make their promises themselves. However, it can also be used less formally for those who want to offer thanks to God after adopting children or who want a quiet service after having been brought safely through a difficult childbirth. The Church of England provides further information about both services here.